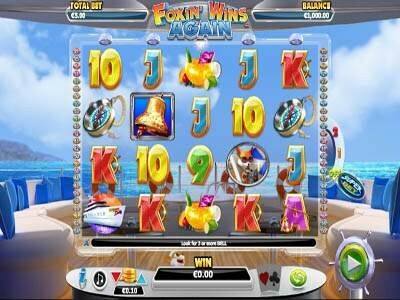 Foxin’ Wins Again is a highly entertaining and a rewarding video slot machine that players can get to enjoy right here for free by placing bets with their demo credits. The game is the sequel of one of the popular slot machines, Foxin’ Wins. The first game took players inside the mansion of the rich fox but this time, players will join this fox as he enjoys a sea adventure on his private yacht. Players will join him for an amazing experience that is fun as it is rewarding. This is because the game has 50 paylines that players can place bets on that are spread on its 5 reels. The game also comes with a great set of rewarding special symbols and features that players can take advantage of, this includes a wild symbol which is the fox captain. There is also the Super Bet feature that can increase the players’ chances of getting huge payouts.